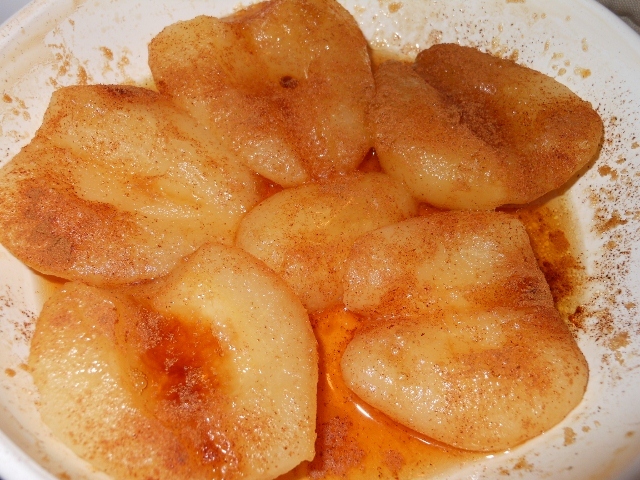 This entry was posted in Desserts, Fruit, Recipes and tagged baked, baked pears, brown sugar, butter, canned pears, cinnamon, food, pear halves, pears, recipe, recipes, sugar. Bookmark the permalink. I love baked pears too! Great winter dessert! I used Del Monte Light Pears in extra light syrup. Heavy syrup would work too I would think, but I choose the light because it was just pears, water, and sugar (no high fructose corn syrup or other unnecessary ingredients). These I picked up at our local grocery – Jay C in our town but it’s a Kroger company. Oh Thank you so much for answering my question. I appreciate it. I do know Kroger company so I’ll definetly look for that next time I go to the store.